Remove existing materials. Demolition involves the removal of any existing materials whether it is soil, weeds, or any substance above ground. By rough grading the area and uncovering everything underneath including electric wiring, irrigation, pipes, etc–we can get a solid sub base for the project. Cap sprinklers. In this phase we also cap any existing sprinklers that will not be used. It is very important to cap sprinklers at the pipe level as opposed to the rising. This avoids any leakage that may occur between the two. Modify sprinklers irrigation or drainage. If necessary, relocate sprinklers, modify existing irrigation lines, and add any required drainage. Be sure to back fill and mark the location of any unused sprinklers to avoid depressions or low spots. 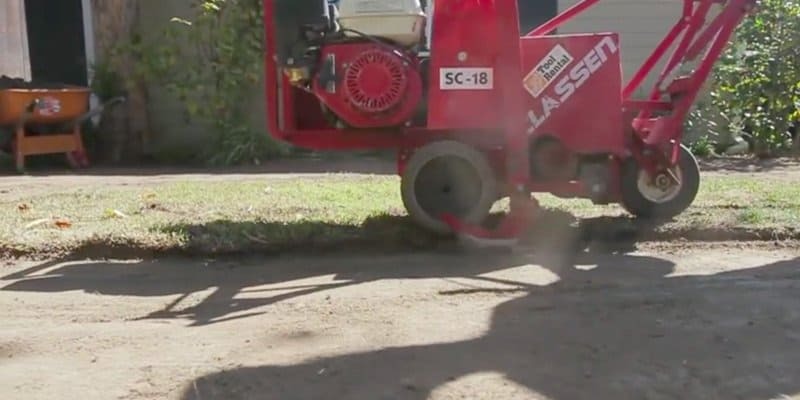 When locating any wiring, electrical sprinklers, etc—move it inward and away from any hardscape or perimeter by six to eight inches. This should prevent any accidental damage when it comes time to secure the turf edge with nails. 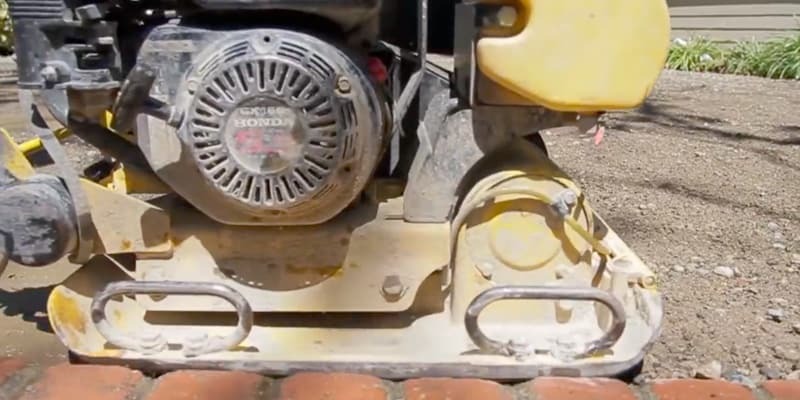 Once moved, lay all wiring on top of the subgrade surfacing with u-nails. Install Bender Board—the installation of the bender board is an important step as it provides a clean line and separation for the plants or bed and turf areas. Gravel DG Mix—the next step is to install the base material. This is a special mixture of gravel and sand which allows for proper drainage. Install 3 inches in depth. For a non-pet landscape installation, the base material should be installed to a depth of 3 inches. Properly distribute and level base. Proper base distribution and leveling is important to account for sloping away from living areas and towards the install drainage area. Proper base installation also ensures the turf will have the smooth level appearance upon completion of the project. Next, we wet the existing base to allow for proper settling. 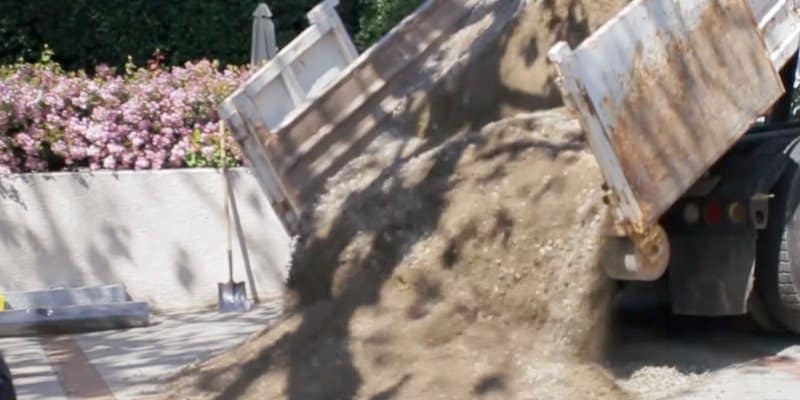 Compaction—compaction is accomplished by vibrating, tamping, and rolling the gravel. This establishes a solid base in which to drive the nails while installing the turf. Any additional leveling or grading can be done at this time. When trimming the turf to fit the area properly you should over cut the turf by one inch along the edges. This provides the excess turf necessary for tucking. When in doubt, cut the turf fatter as it can always be trimmed later. When seaming, it is recommended to use the seaming tool. Once cut using the seaming tool, simply line it up accordingly. Cutting the turf in an s-shape avoids the possibility of the turf pieces pushing against each other’s angles, which in many cases would create the illusion of discoloration in the area of the seam. Install nails every six inches along the edge. Install nails along the edge by placing them six inches apart driving them down ¾ of the way. Nails used in the field should be applied as necessary to prevent movement of turf. As before, drive the nails down ¾ of the way. When finishing the nails separate the grass to avoid pulling down the blades with the nail. The nail is then hidden with the grass blade at the base with the mat. Don’t drive the nails too deeply in the ground as it will cause the turf to be pulled down creating dimples on the surface. Secure seams with U-nails every six inches. During the seaming process six inch u-nails are used to join the turf together. The two seams are butted up against each other with u-nails spaced six inches apart. The finishing process with the u-nails is the same as before. 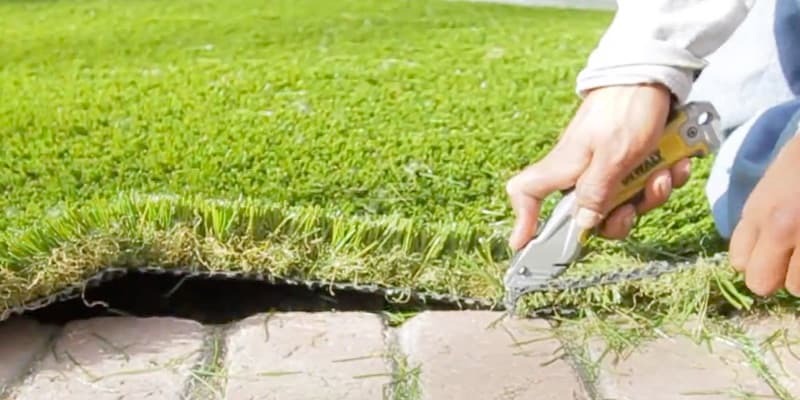 Separate the grass to avoid the blades being pulled down with the u-nail. The u-nail is then driven to the same level of the mat and then hidden with the grass blades. 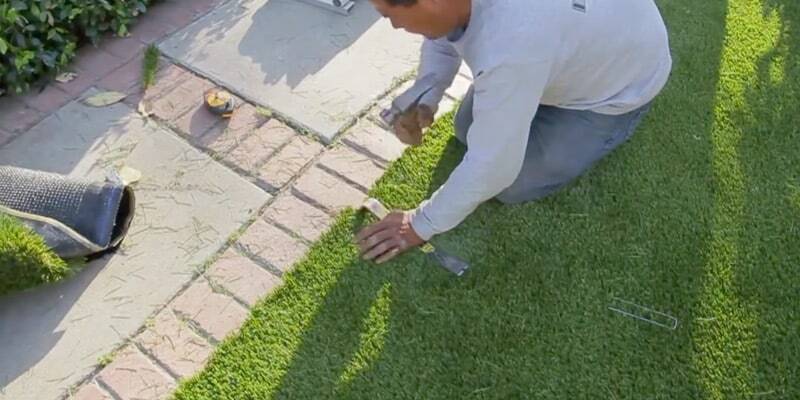 Tucking the turf involves hiding the edges of the turf against any hardscape or edging boarder by using a metal bar called a wonder bar. The side edges of the turf give it a good clean plush look. In this phase a power brush is used. 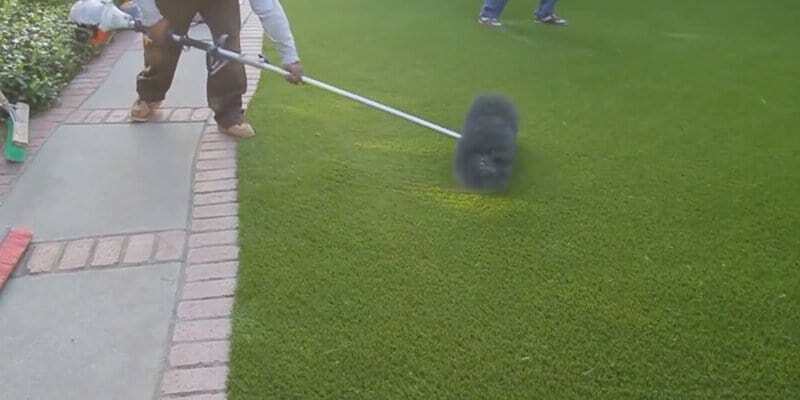 The heavy bristled brush is used to pull against the grain of the grass causing it to stand up in preparation for applying the durafill sand. Next apply the infill or durafill sand. The durafill sand is anti-bacterial and not harmful for pets or children. 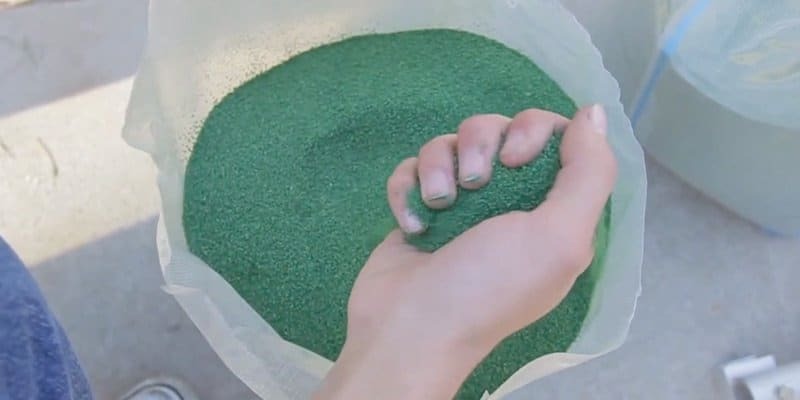 Spread the granules evenly throughout the turf installation. This acts as a balance to hold the blades upright and gives the turf more weight. The final grooming step involves power brushing the turf once again, lightly, to force the Envirofill granules into the base of the turf for settling and optimal stability. Follow up the process to remove any excess debris. The wide world of turf installation can be boiled down into a couple of basic steps. These steps along with other factoids about synthetic grass are captured through our professional install videos. Want to understand when to use a Wonder Edge tool? Or how to apply Envirofill? All of these questions and more are answered through our video library.